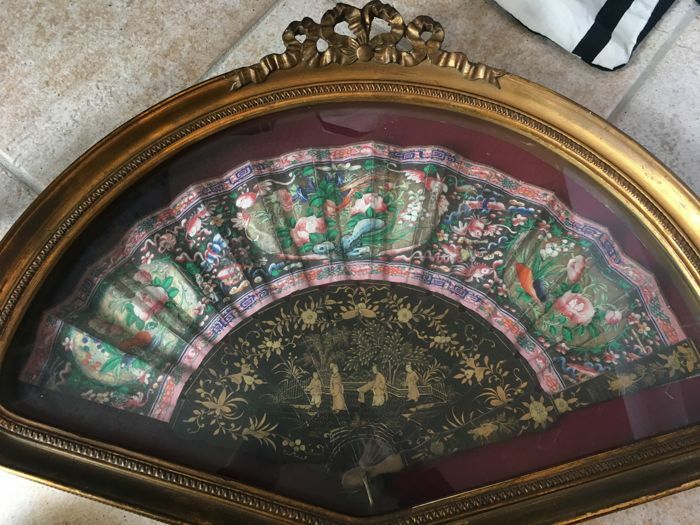 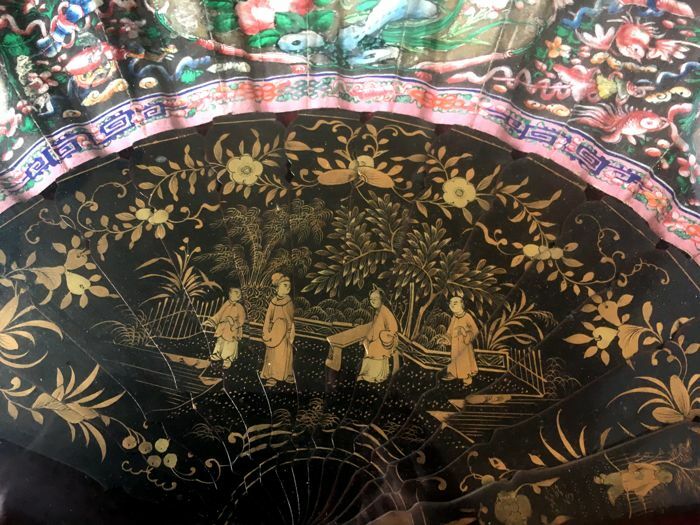 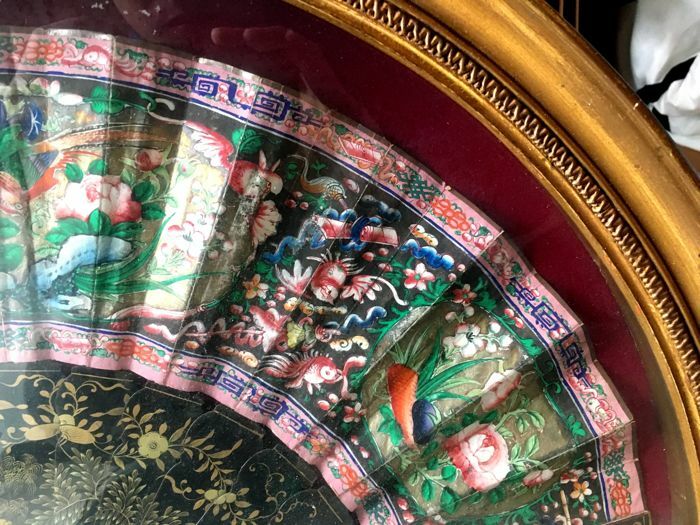 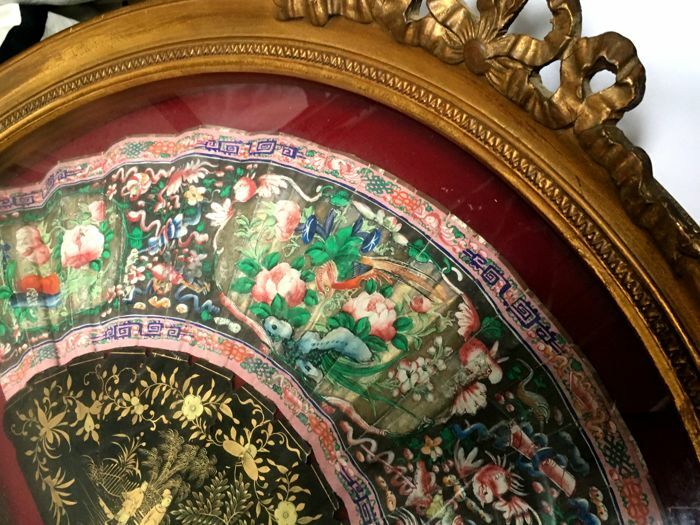 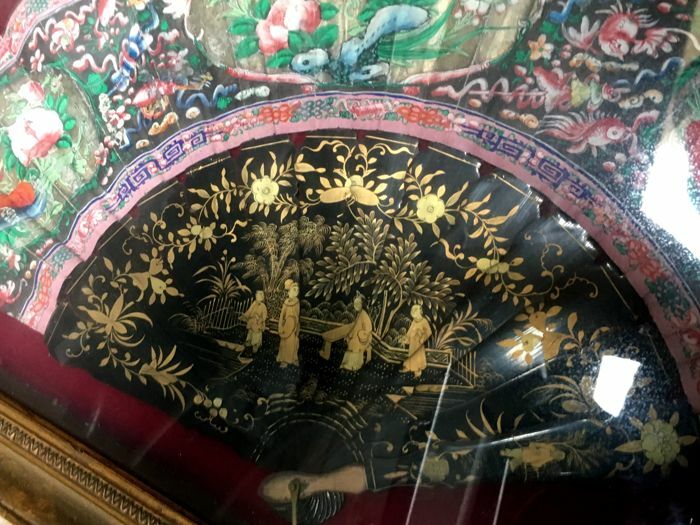 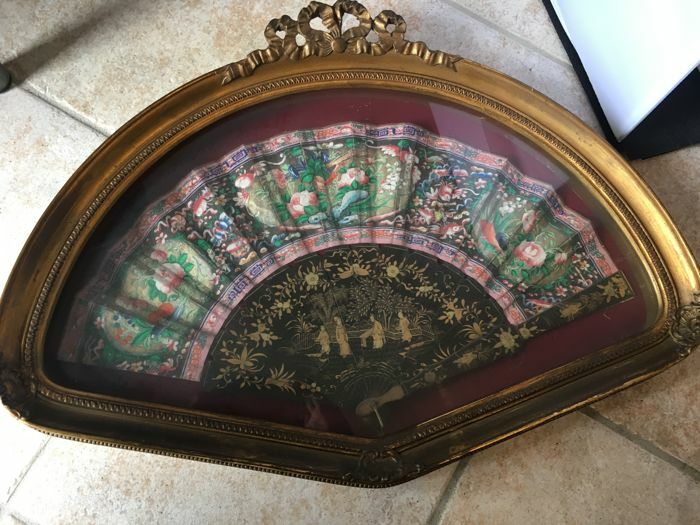 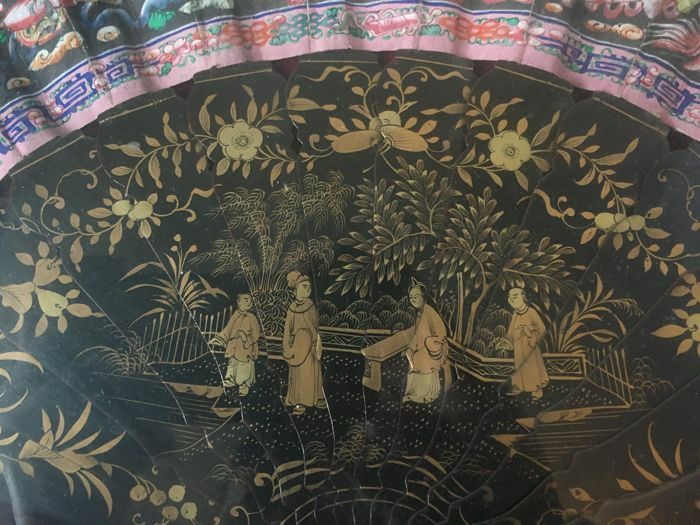 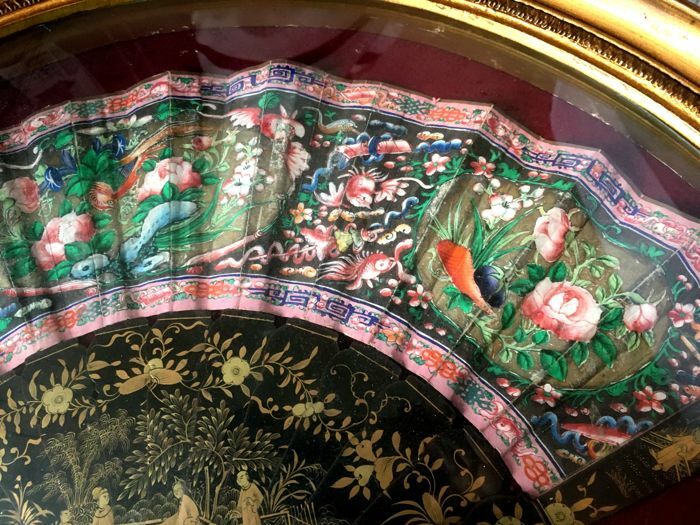 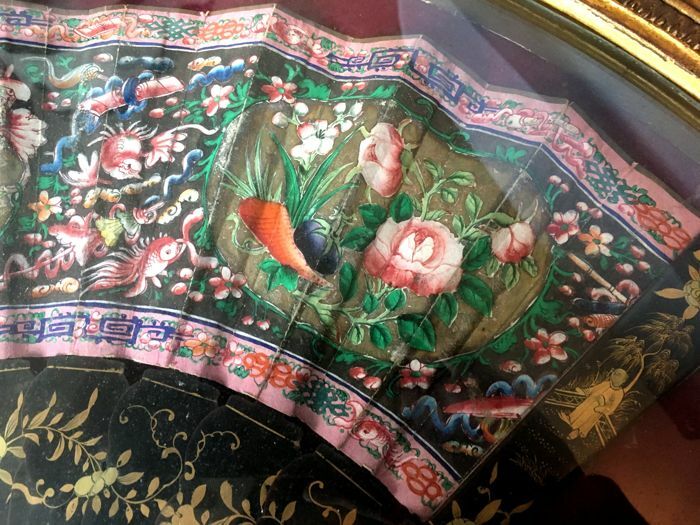 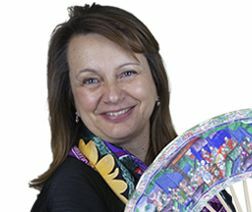 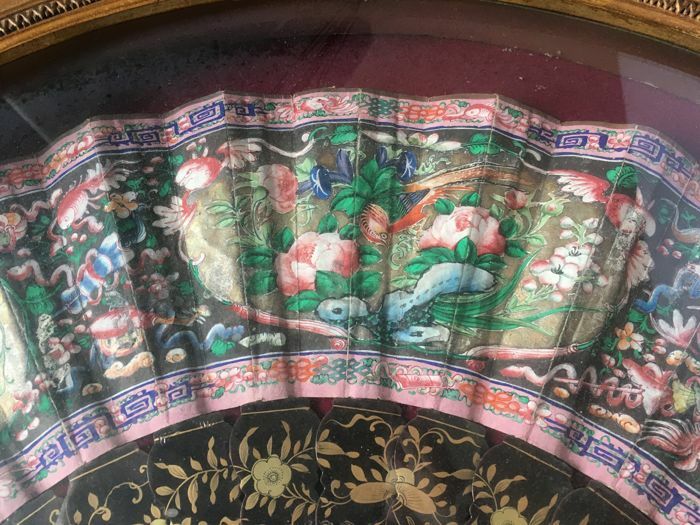 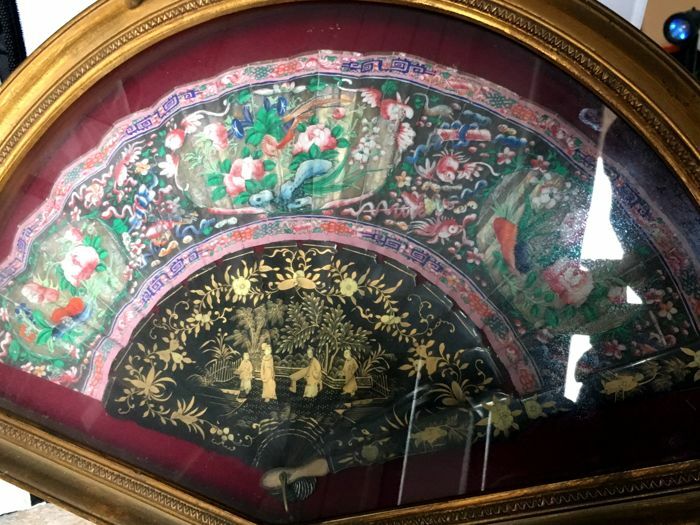 this fan was produced by the late Qing Dynasty, China, Guangzhou, exported into Europe. 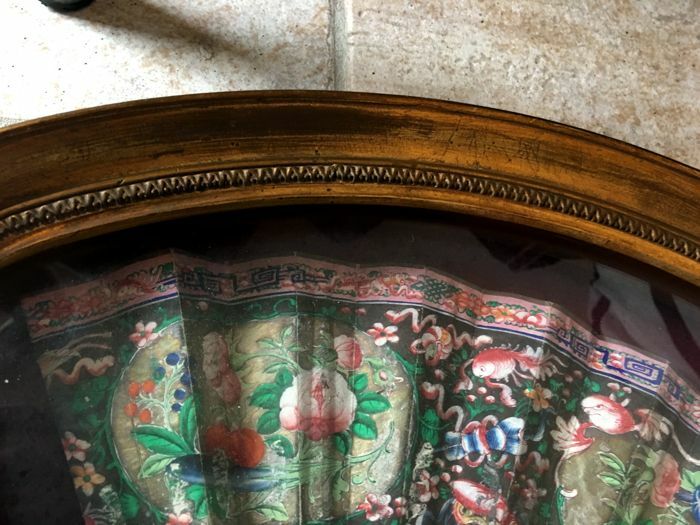 as it has a protective layer outside the original frame. 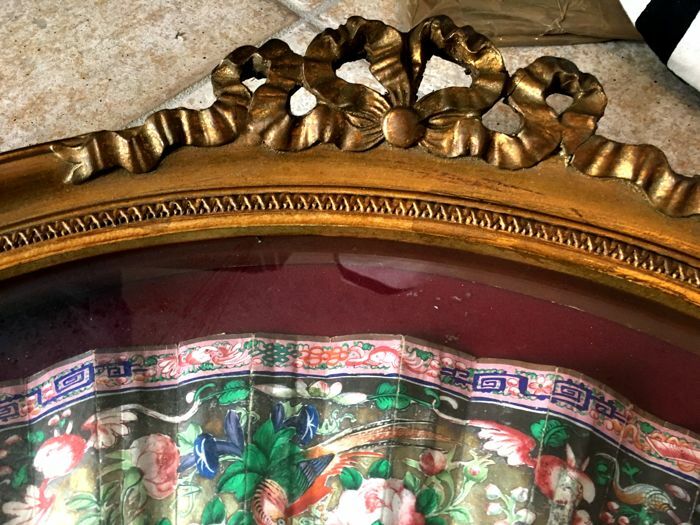 The front part of the frame is made of copper. 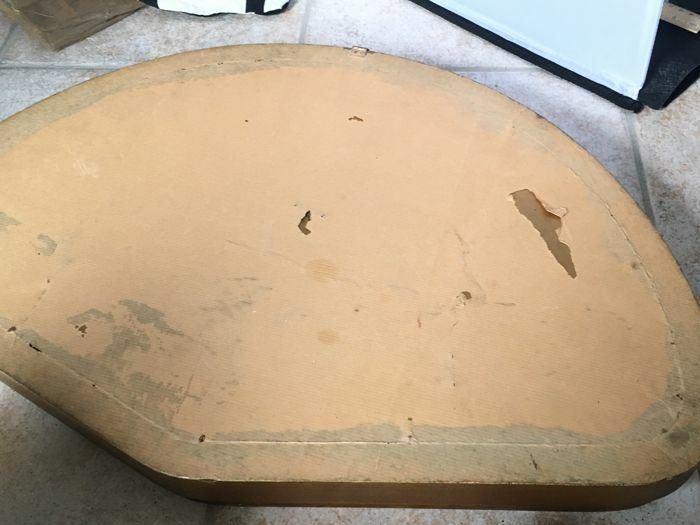 The back is made of wood. 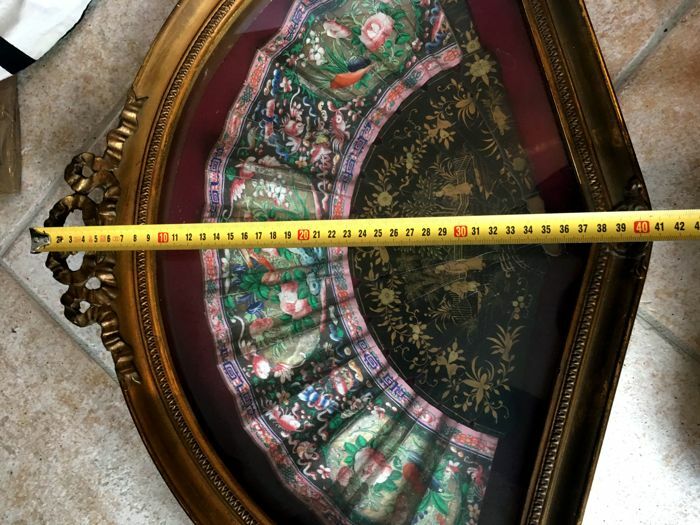 Dimensions: 56 x 41 cm. 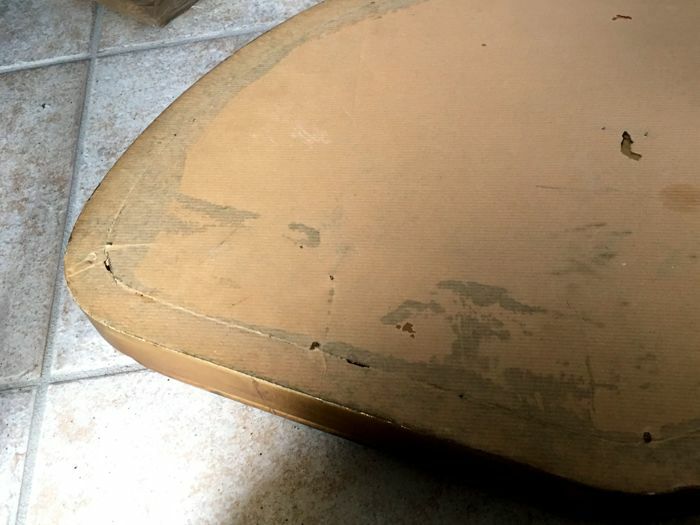 The parcel will be sent from Turin, Italy. 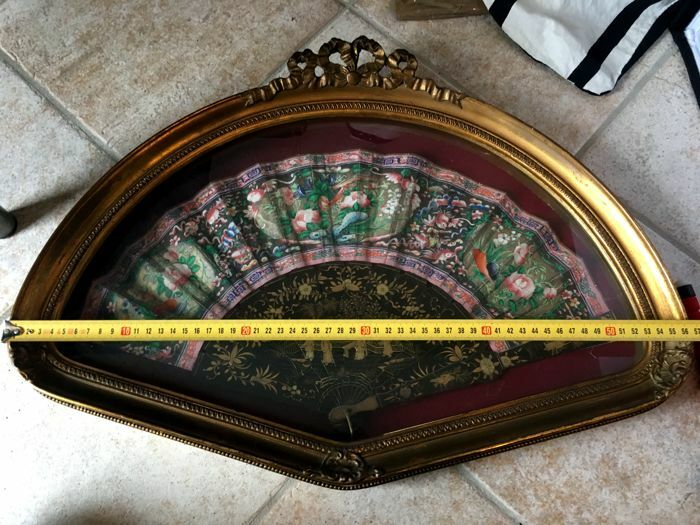 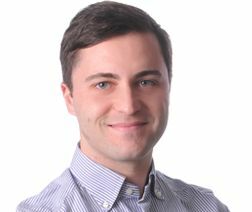 Puedes recoger este lote en persona: S.ambrogio di torino (torino), Italia.